Pretty sure pure magic made these pancakes so fluffy. First grind the oats into a flour. Then add the remaining ingredients. Blend again; itâ€™ll be thick. Cook in a large sprayed pan on a medium heat 2-3 minutes. Flip. Cook another 2 minutes. 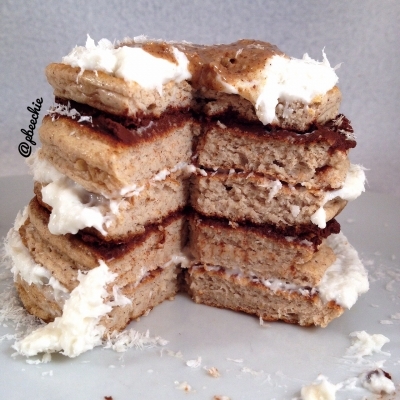 I layered mine with a coconut whip and a rich chocolate spread, then topped it with cinnamon roll CocoNut butter. 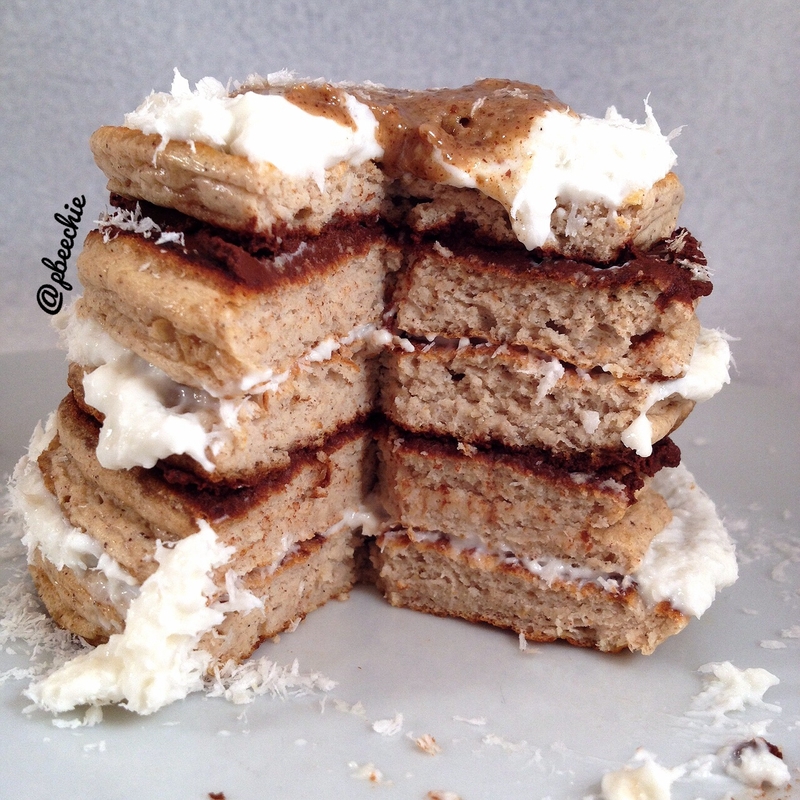 To make the coconut whip, I used a handblender to blend 1/4 cup lowfat cottage cheese, 1/2 tbsp unsweetened almond milk, 1/2 tsp coconut extract, and 7-8 coconut stevia drops. Then swirl in 1.5 tbsp unsweetened coconut shreds. For the rich chocolate spread, mix 1.5 tbsp pumpkin purÃ©e, 2 tsp unsweetened cocoa powder, 1/4 tsp vanilla extract, and 2 stevia packets.